A main charity group in the United Kingdom has called on the British government to stop fueling a conflict in Yemen by imposing a total ban on sales of weapons to Saudi Arabia. According to Press TV, the Christian Aid said in a report published on Wednesday that there was a need for an immediate review of UK sales of arms to states that are actively infringing international law and human rights by pursuing murderous campaigns against their own citizens or their close neighbors. The British government is selling billions of pounds worth of weapons to Saudi Arabia, fueling the kingdom’s three-year-old war on Yemen which has left 22 million people struggling to survive. Thousands of civilians have been martyred, while thousands more have been injured. Collapsed infrastructure coupled with a partial blockade has also deprived most of the population of clean water and proper healthcare, while unleashing the worst cholera outbreak in modern history. Despite all this, Western countries, led by the US and the UK, have supplied the Saudi-led coalition with huge amounts of advanced military equipment, facilitating a military campaign characterized by repeated violations of international humanitarian law, including possible war crimes. The Christian Aid urged the UK government to take the lead in promoting peace and the rule of law in contexts like Yemen – to follow through the logic of its aid spending by recognizing armed conflict as the source of so many development challenges. 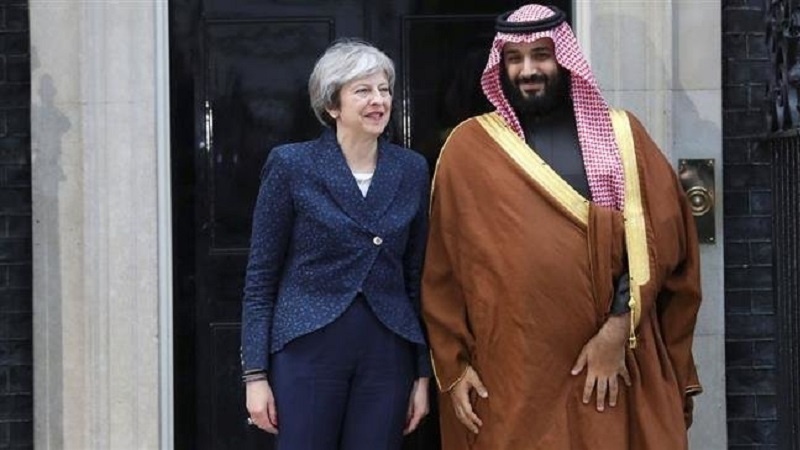 Nearly three quarters of British citizens would support an end to arms sales to countries engaged in indiscriminate slaughter, meaning that three out of five are against selling arms to Saudi Arabia so long as it continues its activities in Yemen, according to the report. An estimated 85,000 children under the age of five have starved to death over the last three years as a result of Saudi war on Yemen, a report from Save the Children has found. The figure is a conservative estimate based on UN data on severe acute malnutrition, which the international body says has afflicted more than 1.3 million children since the conflict between ruling Ansarullah Movement and the Saudi-led coalition that seeks to restore Yemen’s exiled government, began in March 2015. About 14 million people – half of Yemen’s population – are currently at risk of famine, largely because of Saudi border blockades designed to weaken the Ansarullah fighters, which have also strangled civilian access to food, fuel, aid and commercial goods.